These 6th graders were practicing for their Spanish class's Fashion Show after school today. 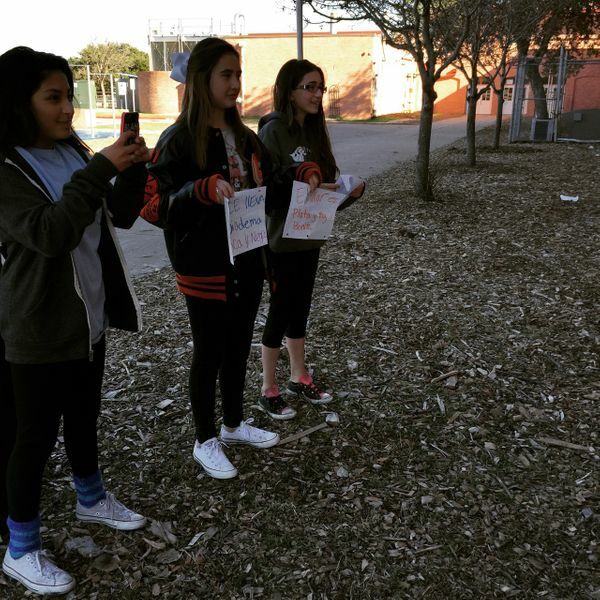 They didn't want to get pictured with their signs since they said they had to memorize their lines, but I convinced them to hold them for my picture and told them about my daily blog. They were all excited to be featured. Good luck on the project ladies!